As a parent, it can be stressful to have a child driving on the roads, especially in ice and snow. 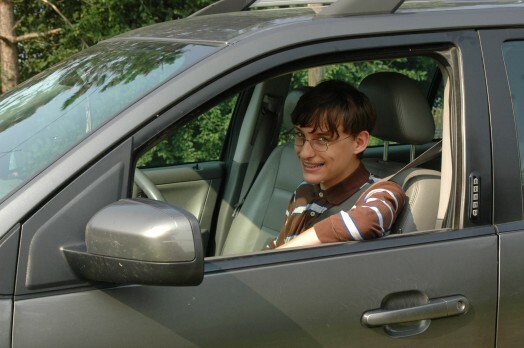 Here are some tips to ensure that your teen has a safe driving experience. Teach your child the essential skills to stay safe on the road, beyond what they learn in driver’s education classes. Help them to anticipate what other drivers’ movements will be and judge how to get out of dangerous situations. Remind your teen of the healthy driving habits they need for safety. Though they may roll their eyes, the extra reinforcement does not go unnoticed. Plan your routes ahead of time. While your teen is driving, be able to communicate your intentions clearly before your teen executes any of your requests. Start sunny. Begin practicing during the day, in good weather. As your teen improves, gradually start driving during different driving conditions, including a variety of times of day, weather and types of roads. Don’t rush into rush hour. Start with safe, low-risk driving conditions, such as empty parking lots and quiet rural roads. Gradually make progress to neighborhood streets with little traffic, then busier roads and highways. Review your insurance policy. It’s a good time to review your liability limits, do you have enough coverage to cover you or your new driver in case of a lawsuit? Also, check into the discounts, if your new driver has a grade point average of 3.0 or better at school, most insurance companies offer a discount. Take a deep breath and keep the lines of communication open, and over time you will find that your driver will gain the experience to navigate the roads. You can find these tips and more at the Michigan’s Secretary of State web site.